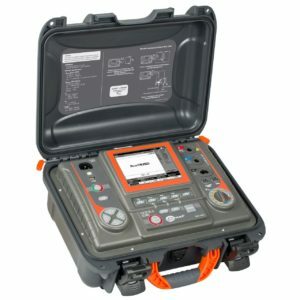 Can your current SFRA match the functionality of the SFRA45. Why would you buy 20 year old Technology when the SFRA market has evolved. 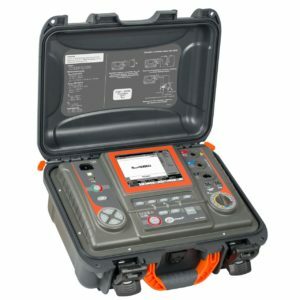 This Sweep Frequency Response Analyzer with a bandwidth of 5Hz to 45MHz, the SFRA45 offers a fully portable solution for the field of SFRA (Sweep Frequency Response Analysis) which fully complies with IEC60076-18 – Power Transformers Part 18 – Measurement of frequency response. Featuring an inbuilt colour LCD screen as well as being battery powered. The tablet style instrument offers the ability to perform most common sweep frequency response analysis technique “Fingerprint Comparison” as well as all other comparison techniques, with or without PC Software. The dedicated software available (SFRAComm) also enables the user to create databases from which historical transformer sweeps can be recalled and compared to current sweeps for analysis.